Size of notes: 4.25" x 5.5". Your choice of ink color, typestyle & envelopes. Blue skies with white clouds provide a lovely background for a little angel baby wearing a purple jumper with a pink heart on the front. 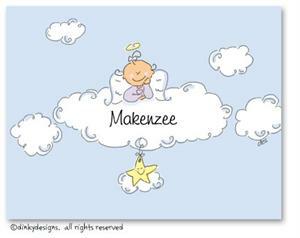 A little yellow star dangles from the cloud in the center of the card. 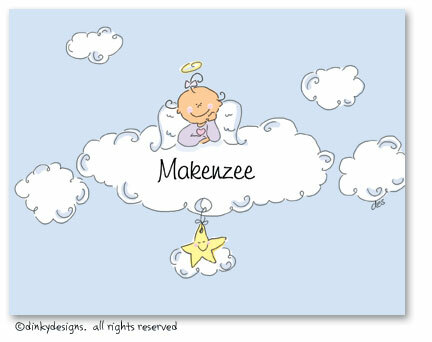 This big cloud's white center allows for customization as thank you notes or personalized note cards.